Friday was national Big Green Clean day. 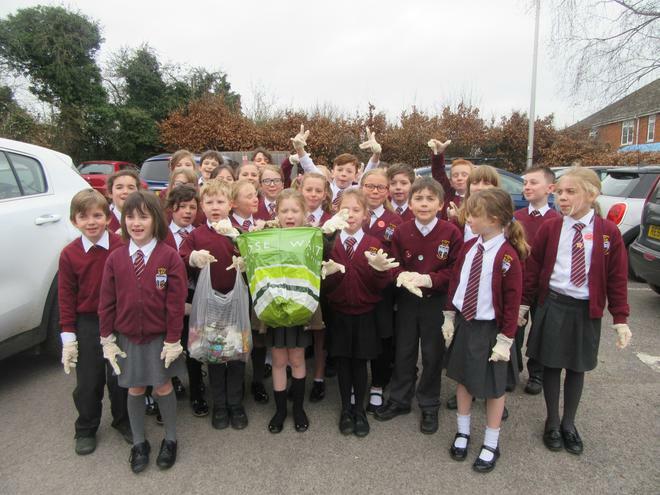 Clatford's eco club were very keen to ensure that every single person in the school was involved. With this in mind, they spoke to the whole school in worship on Thursday, reminding all the staff and pupils how important it is to look after our planet. They wanted to make sure that we all did our bit to help. So... throughout the day on Friday every class went to their allotted area and rubbish picked. We covered the playground, the field, the car park and the pavements either side of our school. We picked up a scary three bin bags of rubbish. Whilst this was a fabulous achievement, it is also a reminder to us all, to make sure that we are doing our bit to look after the planet every single day.